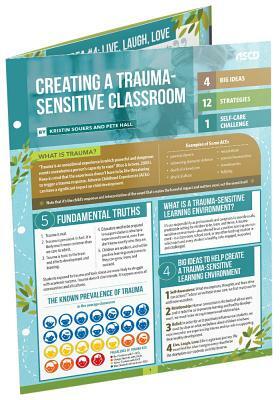 Nearly 50 percent of students in the United States alone are known to have been exposed to some form of trauma. Kristin Souers, a mental health counselor, and Pete Hall, a former principal, present 12 practical, easy-to-implement strategies to help students living with trauma thrive in the classroom. Based on the best-selling, award-winning book Fostering Resilient Learners, this laminated reference guide will give every educator the tools needed to ensure every child is healthy, safe, engaged, supported, and challenged in school. 8.5" x 11" 3-panel foldout guide (6 pages), laminated for extra durability and 3-hole-punched for binder storage.